Bellydance classes, private lessons, conditioning, yoga classes, workshops and performances with Vancouver belly dancer Rahel Claman. Hire Rahel to perform at your next event and bring some glamour and excitement to your function. See what’s happening, and get in touch if you’d like to get more information! Rahel offers weekly public classes and private classes for all experience levels: beginner, intermediate and advanced. Catch live performances by Rahel at various upcoming shows and events around the Lower Mainland. Checkout Rahel's various Yoga classes and programs for all levels. Corporate and private classes are also available. Yummy food, licensed bar, live dancing and cheap cover! All ages! 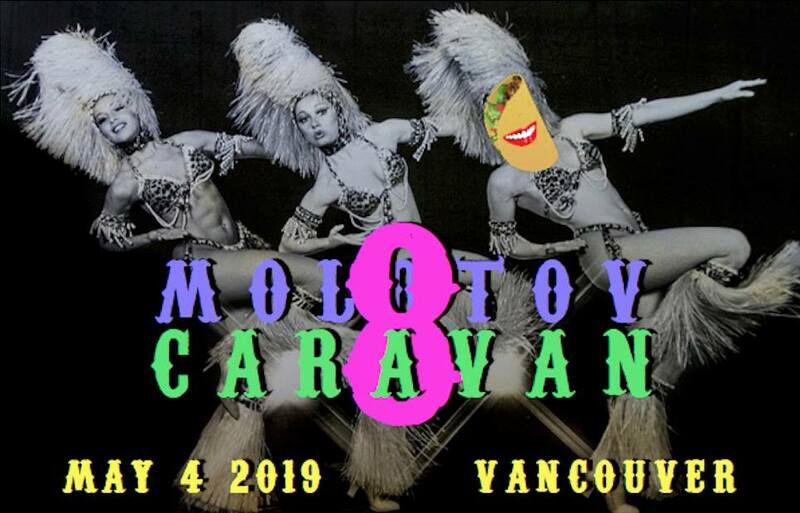 One of the best variety and bellydance shows in the city! bellydance, burlesque, side show, circus and magic! Featuring Rahel as a guest performer! 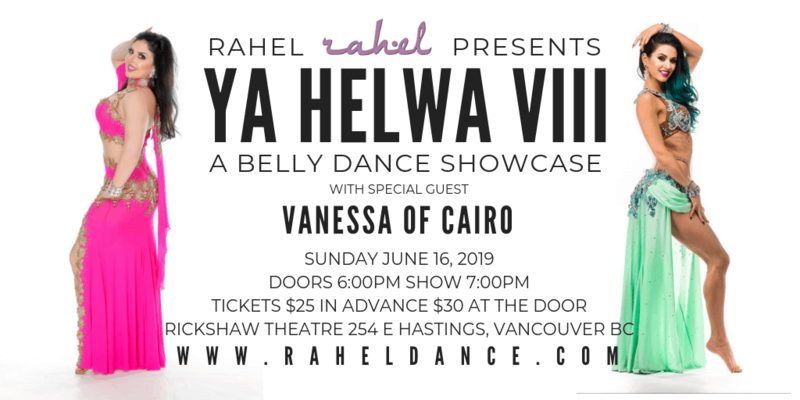 Rahel presents her annual massive student showcase with special guest star Vanessa of Cairo! Performances by Rahel, Vanessa, other guests, The Helwa Dancers, and Rahel’s Beginner and Intermediate students. Want to be the first to know when Rahel has a new class, performance, special event or workshop? Of course you do! Simply fill in your info below, and we’ll notify you. Rahel has loved dance all her life. Since a young age, she has been involved in artistic exploration through various forms of dance, rhythm and music. 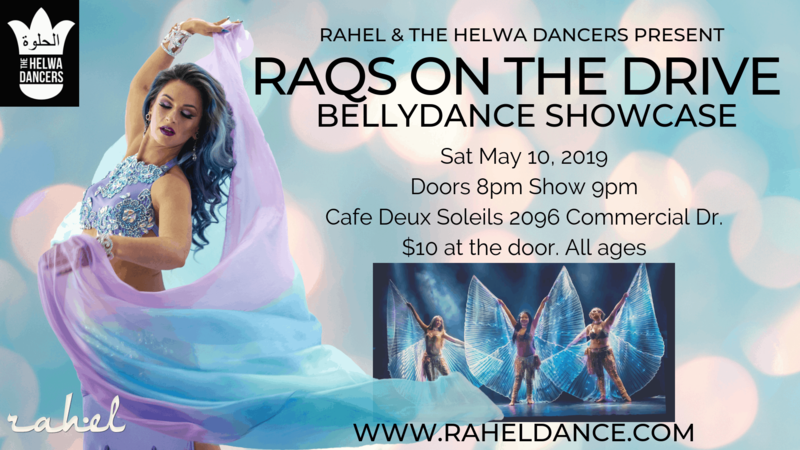 She found her calling in Raks Sharqi (Oriental / Egyptian Style) and Fusion Bellydance at the age of fifteen and has been passionate about it ever since, wholly immersing herself in it. The rewards of taking Rahel’s bellydancing classes far exceed just physical exercise. It embraces feminine power, joy, sensuality and being more open to life. Rahel’s enthusiasm and passion for dance is contagious, and I look forward to her classes every week! I have taken bellydance classes on and off for about 20 years. Over that time I have found several teachers, but only a very few make my list of the exceptional, and Rahel is one of them. Rahel’s classes are a perfect blend of fun and challenging. She is able to bring creativity and expression out of her students, while at the same time teaching very technical moves with skill and clarity. Most importantly for me though, is that in addition to all of this, Rahel is able to create a safe and encouraging space for women to come together and be adored in all their shapes and sizes, and to dance together in sisterhood. Check out the Media Gallery, filled with photos and video from Rahel’s live performances, backstage shots, photo shoots, classes and more!